Folklore groups, dancers, cheerleaders and a dozen US marching bands provide the perfect pick-me-up and the pinnacle of festive celebrations. The free, family-oriented fiesta begins at 15.30 on January 1st at the Piazza del Popolo. The parade then runs along Via del Corso, Via dei Condotti, Piazza di Spagna, Via del Babuino, Via di Ripetta, Piazza Augusto Imperatore, Via del Corso and comes back to Piazza del Popolo for a grand finale. Two hundred US cheerleaders and four giant inflatable flags and gladiators are among the new elements to feature in the two-and-a-half-hour extravaganza. Returning from other parts of Italy are the Amaseno Harmony Show Band, the Sabina Music Band with the Majorettes of Casperia and the Associations Riunite of Roman Historical Reenactment; Associazione Bandistica Città di Mentana & Majorettes, Sailors Majorettes & Popeye Street Band di Scafati. Thousand Oaks Band (Thousand Oaks, California), Thousand Oaks. Shawnee Mission East High School Marching Lancers (Prairie Village, Kansas), Hickory Ridge High School Choral Ensemble (Harrisburg, NC). Other US acts include: Amelia Earhawts & Cabin Krewe (New Orleans, Louisiana), Detroit Catholic Central High School Marching Band and The Big Easy jazz band from New Orleans. 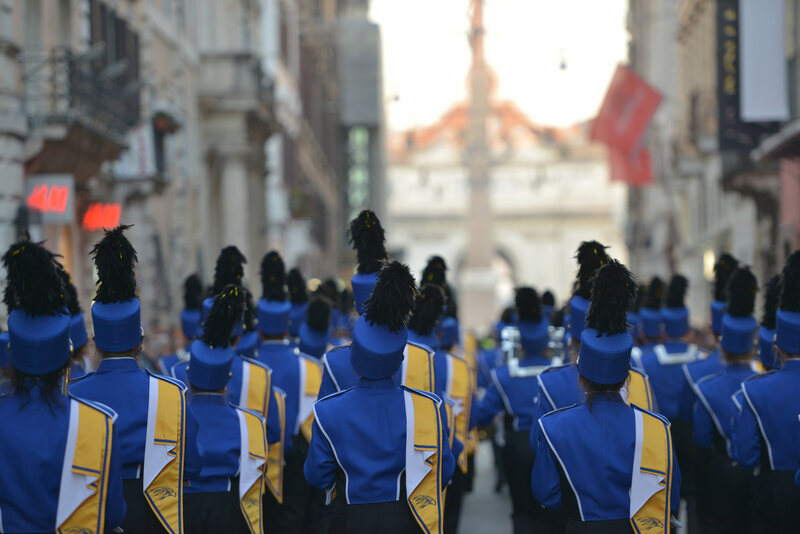 The Parade will be anticipated and followed, as usual, by some concerts, located between Frascati and Rome, whose venues and dates will be announced in the coming weeks. 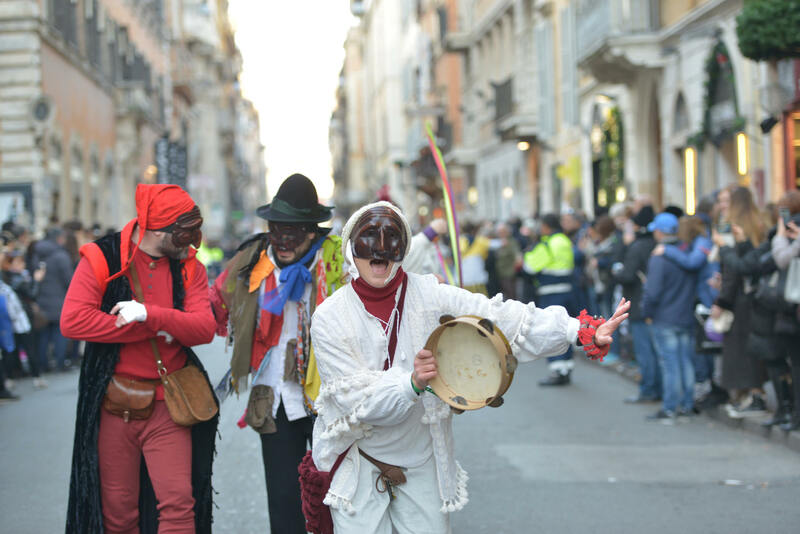 The Rome Parade is organized by Destination Events, an industry leader in the creation of European outdoor shows and organizer of the globally renowned New Year’s Day Parade London. The initiative, which enjoys the patronage of Roma Capitale, is carried out in collaboration with Performance Travel LTD and Youth Music of the World. 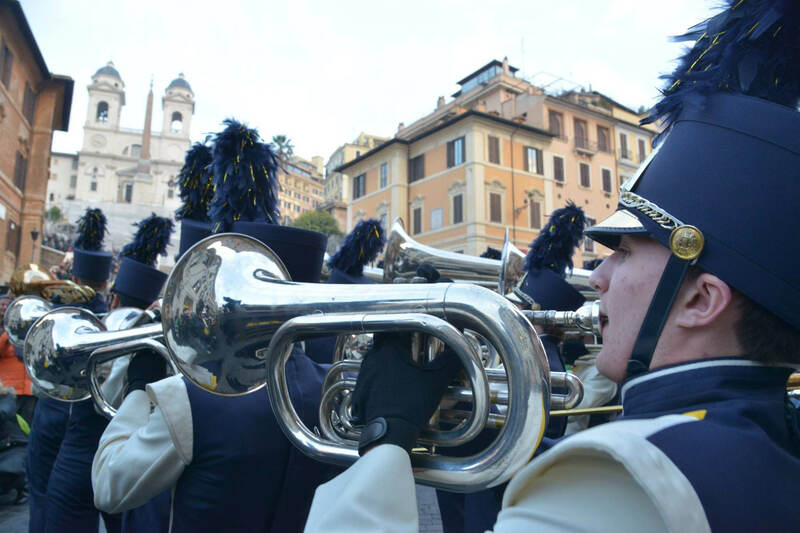 Detroit Catholic Central High School & Sabina Marching Bands Announced for Rome Parade 2019!